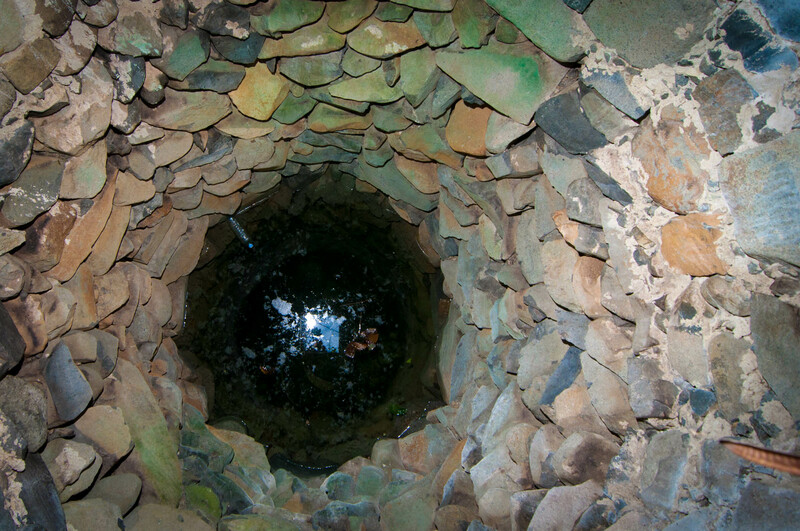 Looking down a well into St. Martin’s past. Water has always been a challenge for St. Martin. The problem is built in to the shape and location of the island. Most of the time, rain carrying clouds blow past the island high above the tallest hills. When rain does fall, the tropical sun and steady breezes tend to dry the island out. Most years, the wet months are wet enough to turn the island green. But then the dry season is dry enough to put every plant and animal in survival mode. Our native plants and animals have adapted to this over millions of years. The things that couldn’t survive disappeared without a trace. Water surely challenged Amerindian people who lived on St. Martin. The island was a bit different then, with forests from the beach to the hilltops. St. Martin would have been better at keeping the rain that did fall. But water access would have impacted how they used the island and the nature of their settlement here. During colonial times, everything depended on water. Export crops like tobacco, cotton and sugar needed water. Subsistence crops like cassava, sweet potatoes and pigeon peas needed it, too. So did livestock and people. 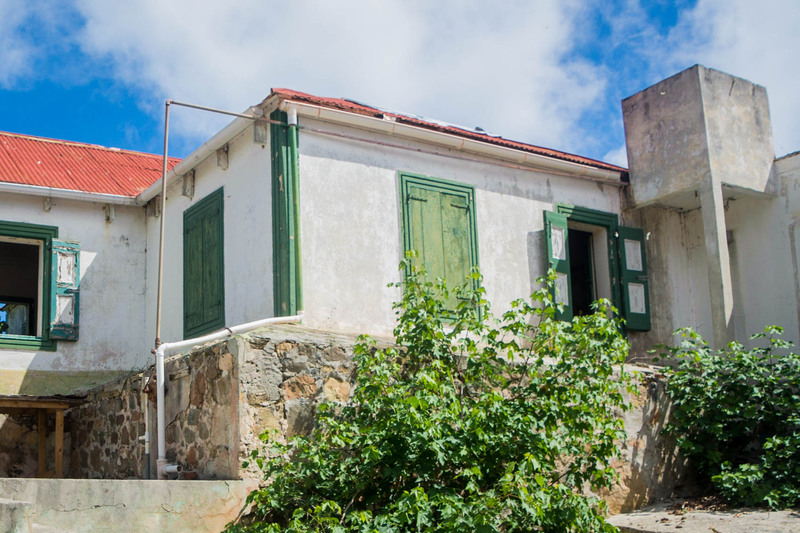 Plantations were located based on sources of water, wells were dug and some of the earliest structures on the island were cisterns. A severe drought could wipe out a growing season. This would be bad for business, but worse for survival. Ground provisions left in the ground could be an emergency food source before the era of refrigeration. At the same time, rains during the dry season could ruin a salt harvest. 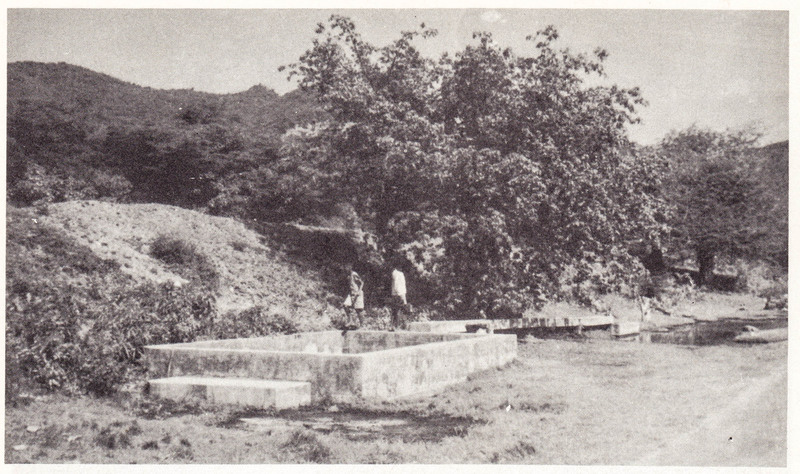 The Bloomingdale Cistern in 1955. The island continued to be at the mercy of the water table until very recently. Water was sourced from cisterns and wells for most of the 20th century. Plenty of people living on St. Martin today remember using a hand pump to get water from their cistern to their header tank or getting water at a well. Some believe a severe drought in the 1970s caused many to give up on raising cattle. A header tank (top right) provides water to a house…after you’ve pumped water into it. Today we find the occasional water shortages vexing, but they are minor by historical standards. The island’s modest rainfall impacts how and where we farm, and increases the cost of lush landscaping, but it does not threaten our survival. The ability to produce fresh water and import feed means cows and donkeys will never have to die during a drought. The brown hills of spring remind us of water’s power, but we are no longer completely at its mercy. Do you have a story about how water influenced your life? Tell us by writing in to The Daily Herald or to info@lesfruitsdemer.com.